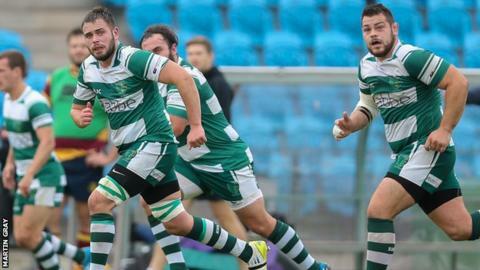 Guernsey Raiders slipped to sixth in National Three London after an 18-10 loss at fourth-placed East Grinstead. Guernsey trailed 6-3 at half time and went further behind in the second half as the home side scored two tries, one of which was converted. Sam Stables pulled a try back for the islanders, which was converted by Owen Thomas, but they could not get a further score to secure a bonus point. The defeat was Guernsey's third of the season, their second away from home.